Watch the visit to Kennedy by Vice President Mike Pence today on NASA TV and on NASA’s social media accounts. 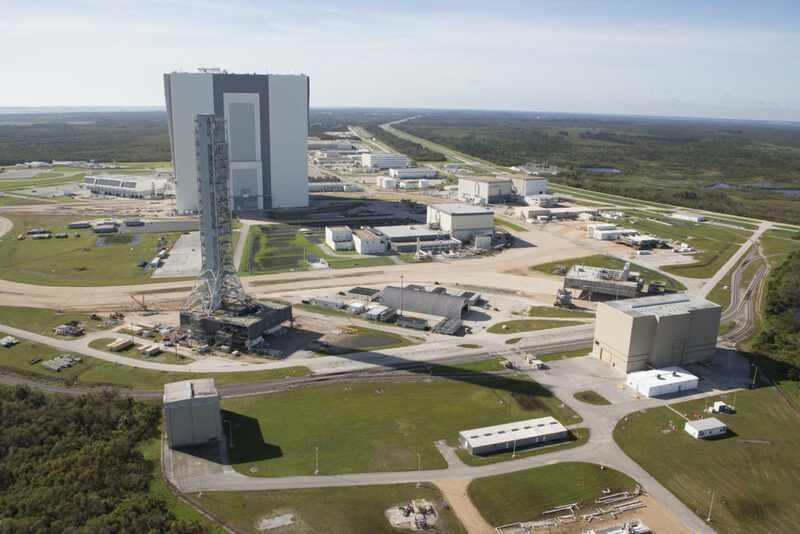 Coverage of parts of the visit will begin at noon EDT with Air Force Two’s arrival at Kennedy’s Shuttle Landing Facility runway, followed by a special address to the center’s workforce in the iconic Vehicle Assembly Building at 1 p.m. The Vice President will tour Kennedy and learn more about the center’s work as a multi-user spaceport for commercial and government clients, as well as see the agency’s progress toward launching from U.S. soil on spacecraft built by American companies, and traveling past the moon, and eventually on to Mars and beyond with the help of NASA’s new Orion spacecraft and Space Launch System rocket. For images of the Vice President’s tour, visit NASA’s homepage and the agency’s headquarters Flickr account. Coverage on NASA’s social media accounts will include Facebook, Twitter, and Snapchat.